The Sign of the Beaver by Elizabeth George Speare is historical fiction written for older children, around a fourth or fifth grade reading level. The plot makes this a great book for boys and girls alike. The Sign of the Beaver is set during the mid-eighteenth century colonization in the United States. Matt, a 13-year-old boy, is left alone to work and protect a new homestead in Maine when his father goes to pick up his sister and pregnant mother to come live with them. While his father is away, Matt loses his father's gun to a thief and ends up getting attacked by bees. Chief Sakins and his grandson Attean are Native Americans who rescue Matt from the bee attack. As a thank you, Matt teaches Attean to read. The storyline follows the evolving friendship between Attean and Matt, as Matt learns how to navigate his life alone in the wilderness using lessons learned from Attean. The title of the book is for the symbol (the beaver) which is used to represent the tribe. 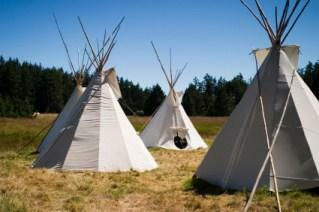 The book provides insight into early settlement issues between the Native Americans and white colonists. The historical fiction book is award-winning, counting among its many honors the Newbery Honor Award, Scott O'Dell Award for Historical Fiction and the ALA Notable Children's Book. TeacherVision: Imagining the future lives of Matt and Attean is just one of the many activities available at Teacher Vision. ProTeacher: Eight different enriching ideas for use with the book are compiled in a list at ProTeacher. Teachers @ Random: Find plenty of pre-reading and interdisciplinary lessons are used in the different teaching ideas available through the Teacher's Guide at Random House Children's Books. Utah Education Network: This site offers nine different building blocks upon which to build a unit on the book. For students and teachers who live in Maine, visiting The Hudson Museum at the University of Maine is an excellent field trip experience that will provide a hands-on look at the historical components of the book. Visit the various exhibits mentioned in the Curriculum Connection page for The Sign of the Beaver to help students better understand the book and the experiences of Matt and Attean. Parents planning to vacation in the area or who live there may want to consider visiting the museum with their child if he or she is a fan of the book. 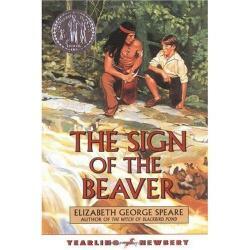 Elizabeth George Speare (1908 -1994), author of The Sign of the Beaver, has written many other famous historically based books that appeal to upper elementary and middle school aged children. Other famous titles by George Speare include The Witch of Blackbird Pond and The Bronze Bow. George Speare was named one of Educational Book & Media Association's Top 100 Authors. The Sign of the Beaver is an excellent choice for getting kids excited about reading, especially if they enjoy history or the outdoors. The exciting storyline about endurance and friendship during tough times makes this a great read for fourth or fifth graders.